Creates highly targeted and relevant “lookalike” audiences based on chosen characteristics of your existing customer database, including contacts collected offline. Highly specific. Reach existing customers and potential customers that share similar characteristics. Leverage offline contacts. Turn contact information collected in-store into powerful online data. Repeat sales. 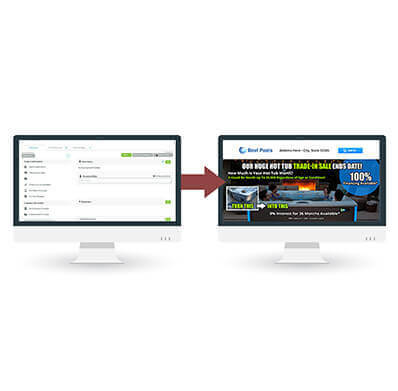 Turn one-time customers into repeat customers through effective targeted advertising. CRM retargeting will benefit any pool construction, service, hot tub, or retail company that wants to reach more people like their existing customers.